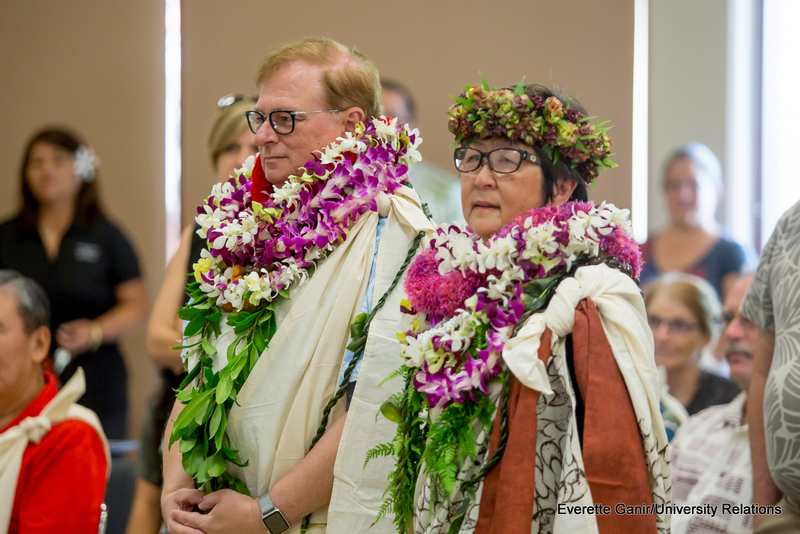 The ceremonies were to honor UH Vice President Don Straney and UH Hilo Interim Chancellor Marcia Sakai in their new positions. Don Straney and Marcia Sakai at Kīpaepae. Kīpaepae Ho‘oku‘u (Releasing Ceremony) and Kīpaepae Ho‘onoho (Appointment Ceremony) were held today for former University of Hawai‘i at Hilo Chancellor Donald Straney and new UH Hilo Interim Chancellor Marcia Sakai. Straney was recently reassigned to a new position as the UH System vice president for academic planning and policy. The ceremonies were to honor Vice President Straney and Interim Chancellor Sakai in their new positions. See more photos at UH Hilo Stories. We warmly invite you to participate in a Kīpaepae Ho‘oku‘u (Releasing Ceremony) and Kīpaepae Ho‘onoho (Appointment Ceremony) on Thursday, September 14, 2017, for former UH Hilo Chancellor Donald Straney and new UH Hilo Interim Chancellor Marcia Sakai. Dr. Straney was recently appointed as the UH System Vice President of Academic Planning and Policy. Please join us as we provide an opportunity to honor both Dr. Straney and Dr. Sakai in their new positions. What: Kīpaepae Ho‘oku‘u & Kīpaepae Ho‘onoho. Where: UCB 127 (Ho‘oulu Terrace), UH Hilo campus (campus map). Date: Thursday, September 14, 2017. Time: 9:00 a.m. (8:45 a.m. Orientation). Kihei and lei are highly encouraged but not required. 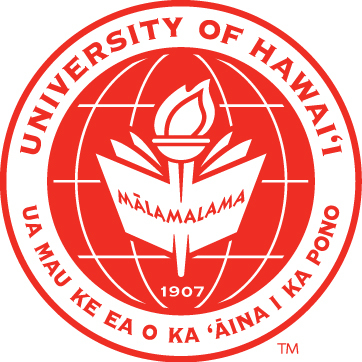 Though I will be working for the UH System, please know that my commitment to and appreciation of UH Hilo and Hawai‘i Island remain strong. It has been my great honor to have served as chancellor for this campus for the past seven years. I am stepping down as chancellor of the University of Hawai‘i at Hilo effective August 1, 2017, and will be taking a position at the University of Hawai‘i System as vice president of academic planning and policy, subject to Board of Regents approval. An open search for our next permanent chancellor will begin in fall 2017. Update Aug. 1, 2017: Link to Vice President for Academic Planning and Policy Don Straney’s bio page on UH System website. Vice Chancellor for Academic Affairs Marcia Sakai will be appointed interim chancellor of UH Hilo by UH President David Lassner, subject to Board of Regents approval. 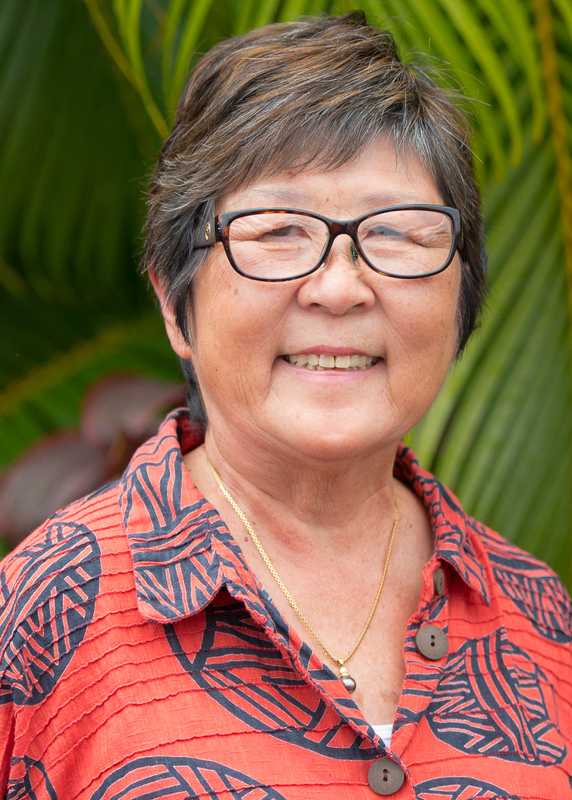 Dr. Sakai joined the UH Hilo faculty in 1991. 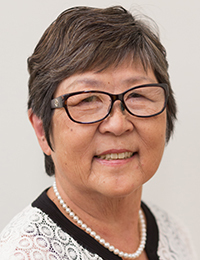 She was the founding dean of the College of Business and Economics, leading the college through its initial AACSB accreditation which made UH Hilo’s CoBE just one of 579 institutions worldwide, at that time, with such accreditation. She brought her experience and ability to bear in serving as vice chancellor for administrative affairs since 2011. She is eminently qualified to lead our campus during this interim period, and I ask everyone to support her and to continue to do the great work that you are doing day in and day out. After seven years at UH Hilo, please know that this was an extremely difficult decision. My time here in Hilo has been such a rewarding professional experience. UH Hilo is an amazing institution that provides invaluable service to our community, our island, our state and beyond. The campus welcomed me with open arms and I enjoyed remarkable warmth and acceptance from total strangers, who quickly became great friends. The aloha spirit is real and it is alive and well on our island. It was my privilege to serve in this special place, with so many dedicated and passionate faculty and staff. I want to thank each and every one of you for your commitment to our campus and community. This type of data specialty is of the utmost importance to moving our island communities and fragile ecosystems into the future successfully. The University of Hawai‘i at Hilo takes seriously its responsibility to be a good steward to our island’s people, culture and natural resources. This summer the university will be taking the first steps toward creating a new Data Science program to the benefit of Hilo and other island communities here and throughout the Pacific. The first of four tenure-track professors who will lead the program starts his work with us in August. Grady Weyenberg, who grew up in Hilo, is a statistician and will be joined in the near future by additional experts in mathematics, computer science, and the natural and social sciences to help build the program. The program is part of a statewide project funded by the National Science Foundation, which awarded the UH System $20 million last year to do a five-year study of water sustainability issues throughout the state. The project is called ʻIke Wai (Knowledge, Water) and has the overall goal of gathering new data on groundwater flow, sustainable yield, and economic impact. The data will help communities and state decision makers preserve Hawaiʻi’s water resources for the future. ‘Ike Wai is a collaborative project with data scientists and water researchers working statewide alongside local communities, indigenous peoples, government agencies and businesses to generate scientific data. Partners also include undergraduate students, graduate students, postdocs and junior faculty to address water challenges at the academic and policy level. This is where UH Hilo’s contributions come in. As part of the ʻIke Wai program, new degree programs at UH Hilo will help produce a new generation of big data scientists and data analytics professionals in Hawaiʻi. To start, Dr. Weyenberg and the new faculty team will work with existing faculty to develop a Data Science Certificate Program, followed by a baccalaureate degree. In addition to developing curricula, they will also teach courses and mentor students. The first cohorts of the new Data Science program will analyze data sets generated by the ‘Ike Wai project’s five-year study, assisting in the creation of a data-driven, sustainable water future for the state of Hawaiʻi and our Pacific neighbors. Students will have further opportunities to hone their data analysis skills by supporting research faculty, whose projects connected to the ‘Ike Wai project generate large amounts of data. This type of data is of the utmost importance to moving our island communities and fragile ecosystems into the future successfully. Increasing population, changing land use practices, and issues relating to climate change are contributing to growing concerns over water quality and quantity in Hawaiʻi. In bringing together UH faculty and resources, state and federal agencies, and community partners, the ‘Ike Wai project will address critical gaps in the understanding of Hawaiʻi’s water supply that limit decision making, planning and crisis responses. The project is multidisciplinary in scope with elements of geophysics, microbiology, cyberinfrastructure, data modeling, indigenous knowledge, and economic forecasting. By university scientists and budding student researchers working in partnerships with state and federal agencies and community groups, a comprehensive data base will be created to assist with important decisions that will move our state forward into a sustainable future. Visit the EPSCoR website to learn more about the Data Science program and the ‘Ike Wai project. It was a beautiful Spring Commencement celebrating cultural heritage, sustainability, and diversity, reaffirming our responsibilities in addressing the challenges of our time. Prof. of Anthropology Peter Mills (right) bestows candidate with hood for Master of Arts in Heritage Management. 2017 Spring Commencement celebrated the first cohort to graduate from the new UH Hilo program. 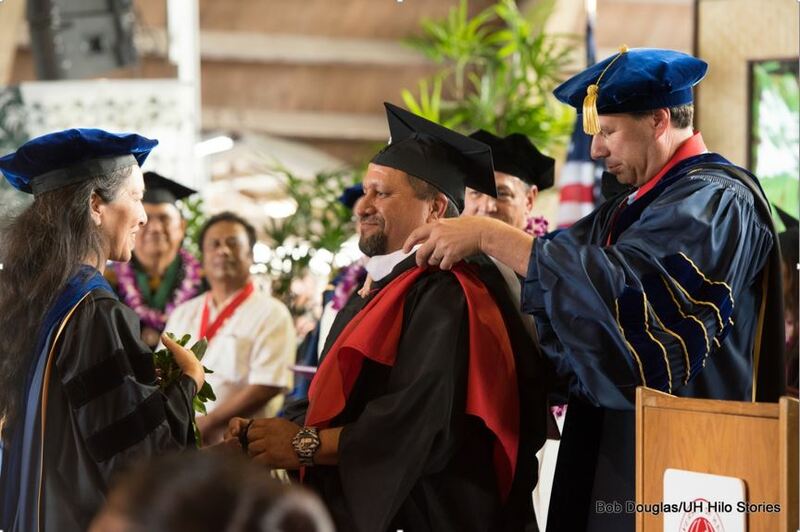 The University of Hawai‘i at Hilo celebrated a milestone at Spring Commencement last month: the university graduated its first candidates for a Master of Arts in Heritage Management. Students in the new program train for heritage-related careers in both the public and private sector to interpret, preserve, and perpetuate cultural heritage—something of immense value to our local communities and indigenous culture. UH Hilo takes seriously its responsibility to our island communities and indigenous culture, and community-based archaeology is a vital aspect of Hawaiian cultural revitalization. 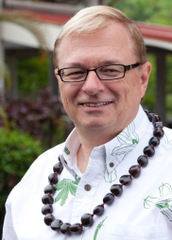 In a paper on the importance of cultural resource management professionals, Peter Mills, professor of anthropology, writes that Hawai‘i struggles with many issues confronting heritage management programs globally. Grass roots efforts to better manage Hawaiian cultural sites are increasing, and state regulations require cultural resource managers to have an advanced degree—yet graduate training in anthropology and related fields in Hawai‘i is limited. Let me share a story of one of the graduates to show the importance of this degree to our island families and communities. 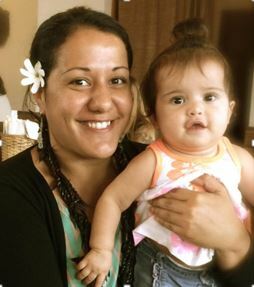 Lokelani Brandt received her bachelor of arts in anthropology with a minor in Hawaiian studies from UH Hilo in 2012 after receiving her primary education at Ke Kula ‘o Nāwahīokalani‘ōpu‘u Hawaiian immersion school. She and her husband both have careers in Hilo (Lokelani is a lecturer for the Hawai‘i Life Styles Program at Hawai‘i Community College) and they would like to raise their family here. With her newly received master of arts degree, Lokelani has accepted a full-time position in Hilo with ASM Affiliates, a major archaeological consulting firm. With her advanced degree in hand, she will be qualified to serve as a principal investigator on ASM’s field projects. 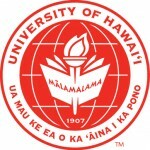 This type of career option will be very meaningful to many of our undergraduate students of Native Hawaiian ancestry—there is now an option to pursue professional leadership positions in archaeology and related fields rather than only volunteering for grass-roots organizations. Along with UH Hilo’s responsibility to protect our islands’ cultural heritage, the university also accepts responsibility—given our location and resources—to learn with and from other island nations in the Pacific region. Our keynote speaker was President Tommy Esang Remengesau, Jr, of the Republic of Palau, an internationally recognized leader on environmental issues not the least of which is his leadership in the historic effort to implement the Palau National Marine Sanctuary. President Remengesau’s remarks focused on the responsibilities we all share in taking care of our island states, communities, and environment. This great man practices what he preachers—his work and visionary leadership is inspirational as we proceed in working together on the challenges of our time: sustainability, environmental protection and cultural preservation. In addition to these responsibilities, the university also remains committed to safeguarding human rights, notably the rights of our LGBTQ+ community. Our student speaker at commencement, Karla Kapo‘aiola Ahn, a performing arts major and entertainer who often performs music on campus, spoke about her gender transition and about how UH Hilo—in particular Professor of Drama Jackie Johnson, just retired—provided the unconditional support she needed to realize her full potential in her studies and in her life while at the university. Karla personifies our pride in being the nation’s most diverse university system. We live the aloha spirit. It was a beautiful Commencement celebrating cultural heritage, sustainability, and diversity, reaffirming our responsibilities in addressing the challenges of our time.